Started in 2009, the annual bike ride through Vietnam to raise money named H2H (Hanoi to Ho Chi Minh City) of foreign teachers in Vietnam has made a lot of progress. At first, the event was simply a one-month journey from the North to the South along Thong Nhat railway to raise money for 5 non-profit organizations in Vietnam. However, as the years went by, more and more people started participating in the event, which attracted much more sponsorships from goodwill people around the globe. A tradition of H2H before the journey starts, the participants of the rider team visit the organizations for which they are about to raise money. The first stop was in December 2018 at KOTO (Know one – Teach one) restaurant where disadvantaged teenagers are given opportunities to learn and practise hospitality skills to develop their career. H2H’s first fundraising dinner at KOTO, as usual, was to introduce the new members of the rider team. It was also to let the participating non-profit organizations share their views regarding the program as well as the positive effects that the funds created for the children being supported. 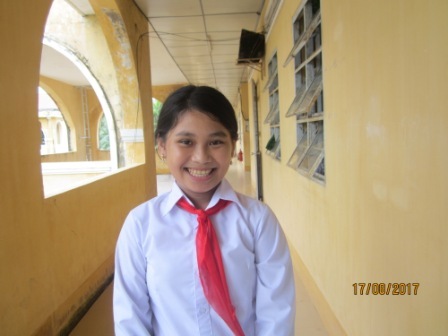 The next visit was Thang Long English and Vocational training school (a part of Saigon Children’s Charity CIO (saigonchildren) from January to March 2019). The H2H team joined and assisted in Hospitality course’s English-speaking classes. Besides that, some members also helped with the painting classes on the weekends. Though the students are used to having foreign volunteers at their school, they still get excited every time the H2H team stops by and joins in with the activities. Following the leader of the rider team this year, Ms Leanne Gradwell – a British athlete, we went to Go Vap Orphanage which is a project of ILA Community Network. ILA Community Network is one of the five non-profit organizations that is funded from the money raised by H2H. The H2H team hosted some group activities for the children with disabilities there and presented them with many gifts. 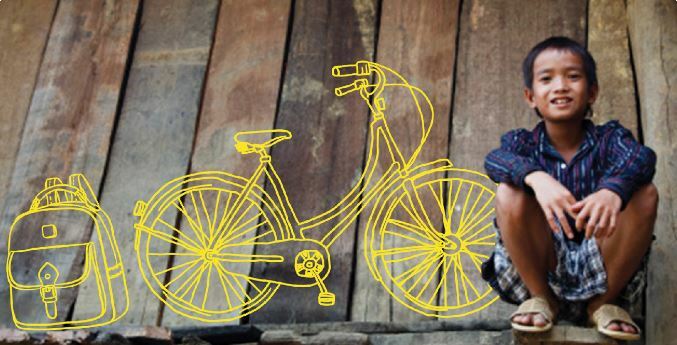 The annual plan for H2H each year is to arrive at the next stop at Blue Dragon Children’s Foundation in Hanoi before starting the bike ride on 30 March. Their last stop before reaching Ho Chi Minh City on 26th April is the Live and Give Organization on the Pleiku Plateau. Aside from the main events, the team also hosted other small events to raise funds before the bike ride, such as a fund-raising dinner, weekend party, quiz challenges and many other interesting activities. *H2H Charity Ride (Hanoi to HCMC) was established in 2009 by three teachers at ILA Vietnam: James Ortmann, Rob Wilson and Sophie Lewis. In the last 9 years, H2H has raised $338,747.38 (approximately 8 billion VND) to support and take care of poor children in Vietnam. The volunteers do not get any profit from the program. The charity organizations funded from the program are: Saigon Children’s Charity CIO, Blue Dragon Children’s Foundation, KOTO – Know one Teach one, ILA Community Network and Live and Give. H2H event in 2019 will take place from 30/03/2019 (start in Hanoi) to 26/04/2019 (finish in HCMC).